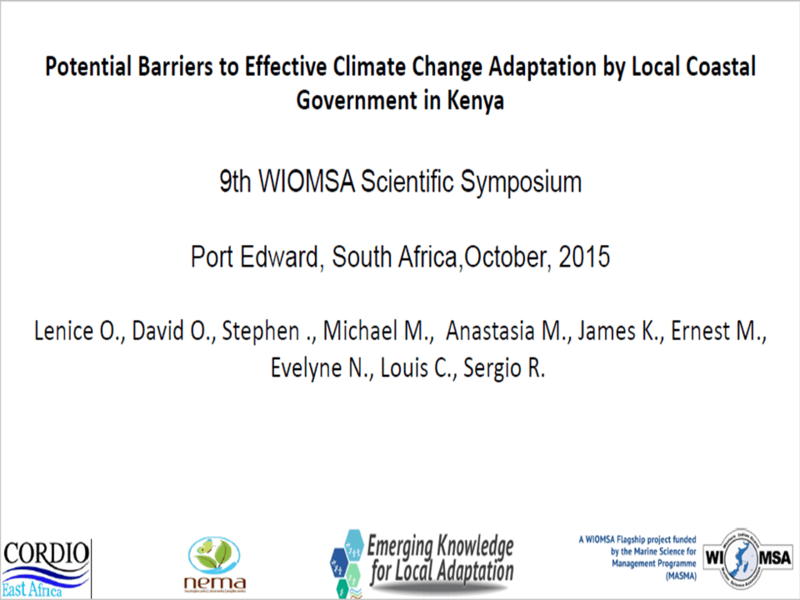 The 9th WIOMSA Scientific Symposium was held in Port Edwards, Eastern Cape, South Africa from the 26th to 30th October 2015. 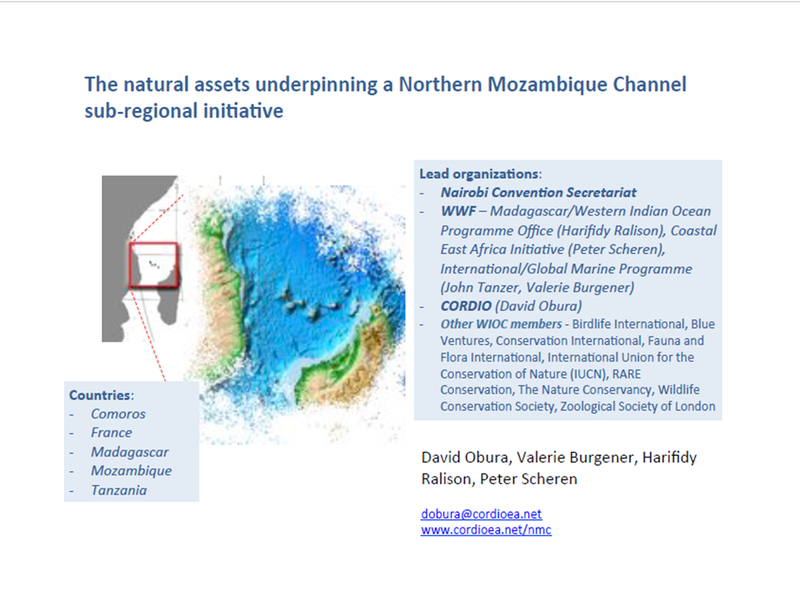 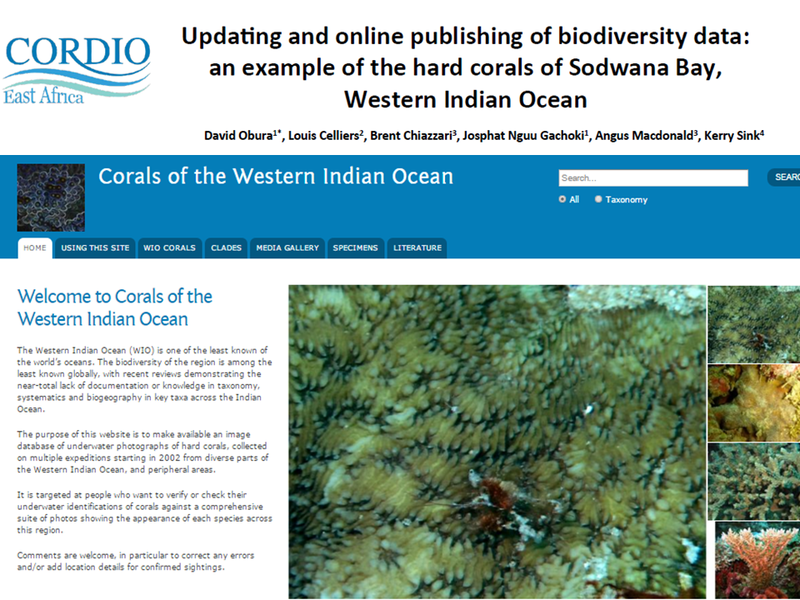 The biennial event was organized by the Western Indian Ocean Marine Science Association (WIOMSA) and several partners such as the University of KwaZulu Natal (UKZN), Council for Scientific and Industrial Research (CSIR), Government of Sweden, Oceanographic Research Institute (ORI), Kwa Zulu Natal Sharks Board, Ezemvelo KZN wildlife and the Province of KwaZulu Natal Department of Economic Development, Tourism and Environmental affairs. 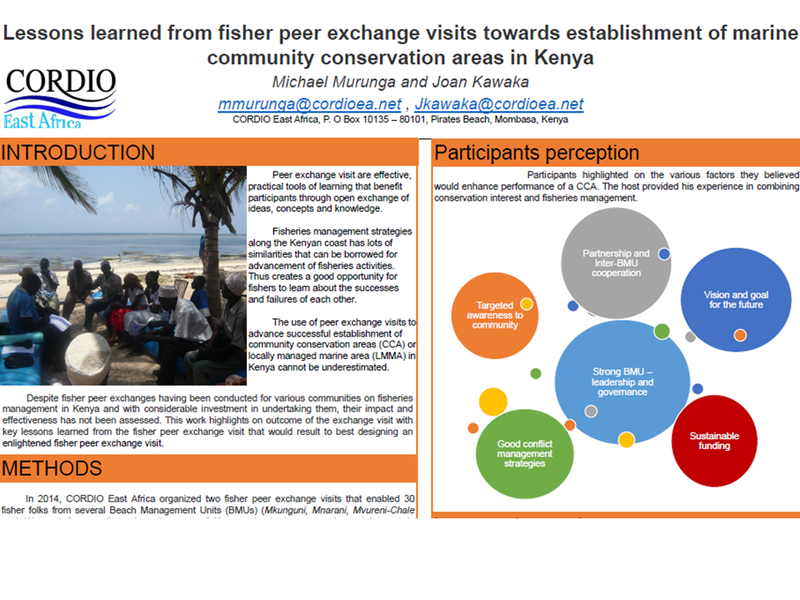 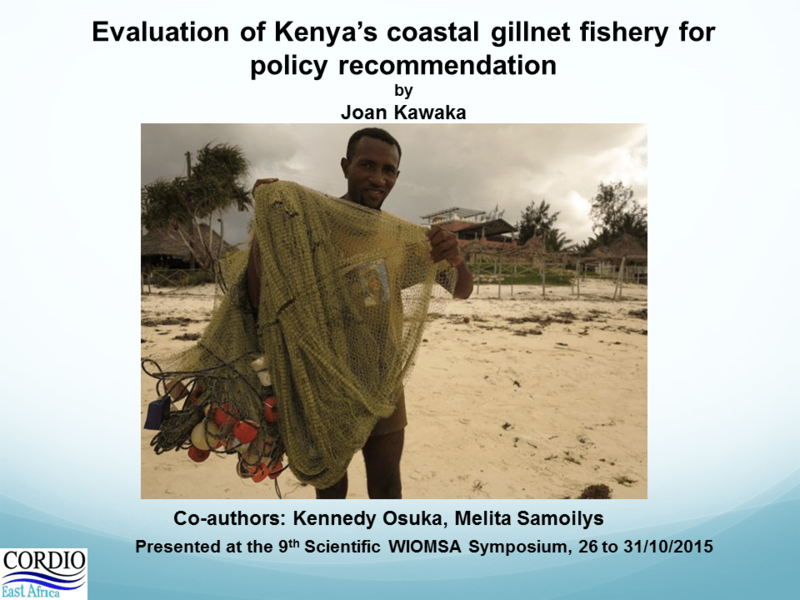 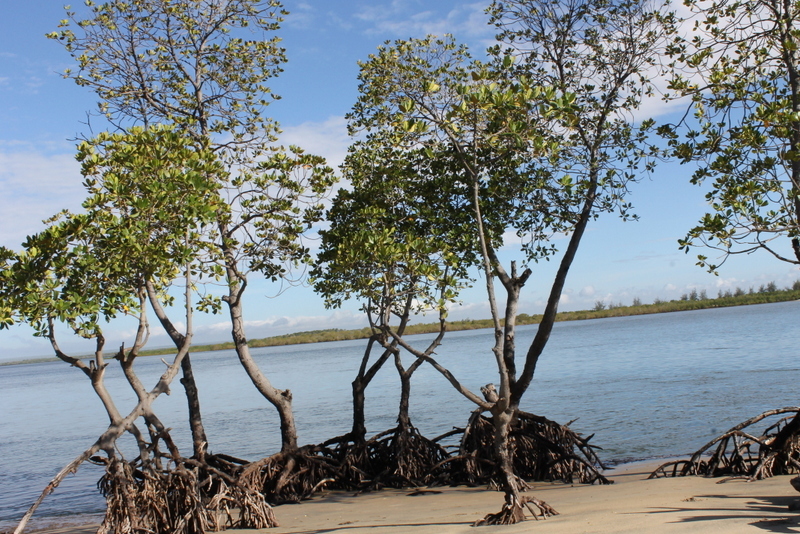 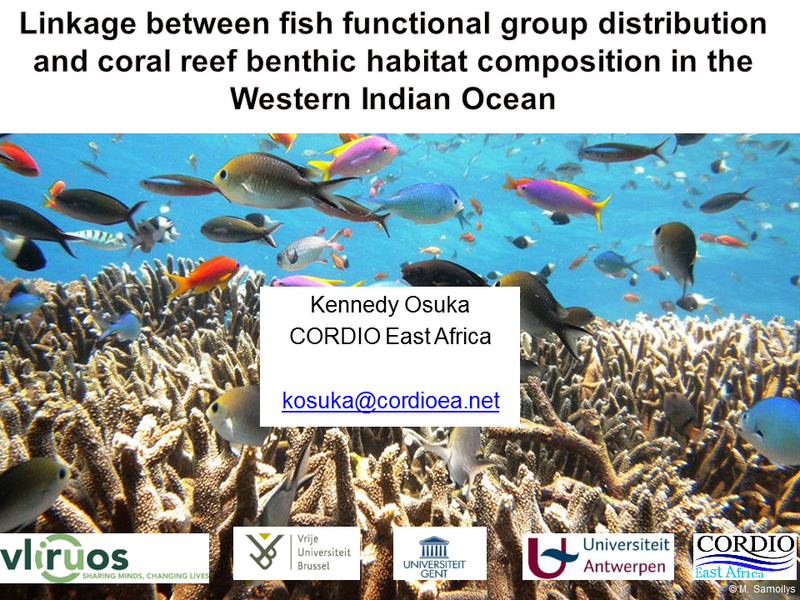 CORDIO East Africa participated at the symposium with Oral and Poster presentations across various fields (Corals, Education, Social Sciences, Fish and Fisheries, Management). 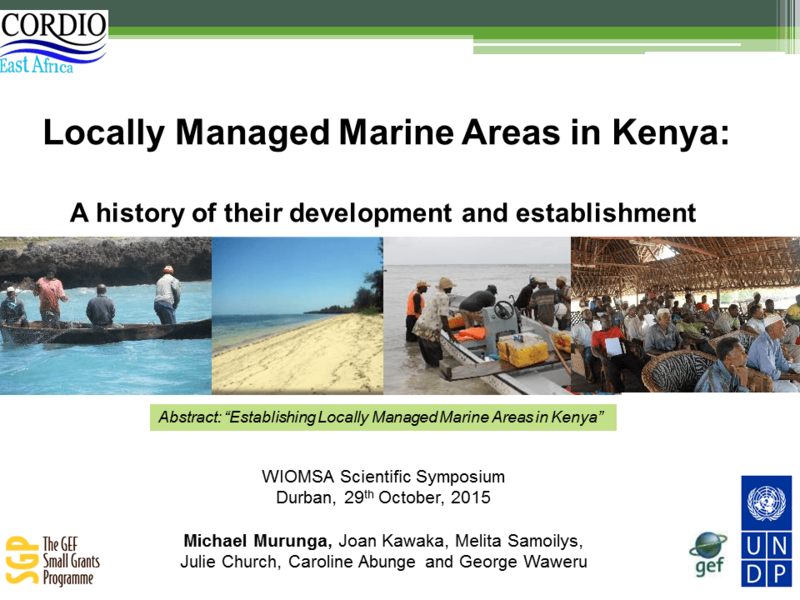 Below are pdfs of the presentations, please contact the corresponding authors(*) for the full publications.